Nassau County Legislator Denise Ford is working to secure the funding to bring “ShotSpotter” to the Long Beach Police Department. 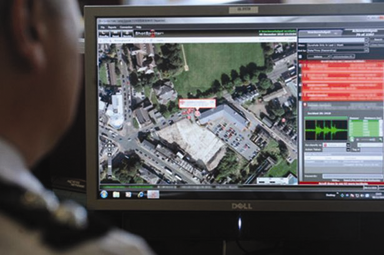 The ShotSpotter Gunshot Detection and Location system utilizes sophisticated technology to detect gunfire in specified geographic locations. “There have been many shootings recently in Long Beach’s North Park area, and I’ve seen the success that the Nassau County Police Department has had using ShotSpotter to identify the exact location of gunfire and the perpetrator using the gun,” said Legislator Ford. Using mounted detectors and cameras, when gunfire occurs the system records the number of shots fired, whether the shooter was stationary or moving, and essential audio playback of the gunshot event. Additionally, the system’s video cameras pan to the area where shots were fired to record a license plate, a car, a face, or anything else that can help catch the suspect. Legislator Ford and Nassau County are currently negotiating the terms of the program in order to implement the system as soon as possible. LEGISLATOR DENISE FORD SPONSORS BIKE HELMET GIVEAWAY! LEGISLATOR FORD ASKS YOU TO REMEMBER: BICYCLE SAFETY STARTS WITH YOU! WERE YOU ADVERSELY AFFECTED BY CONTRACTOR ISSUES IN THE AFTERMATH OF SUPER STORM SANDY? LEGISLATOR FORD WANTS TO HELP YOU AVOID BECOMING A VICTIM OF IDENTITY THEFT! AN IMPORTANT SAFETY UPDATE FROM LEGISLATOR DENISE FORD: HURRICANE SEASON IS HERE! Legislator Ford Honored by Artists in Partnership, Inc.
Legis. Ford & The Nassau County Department of Consumer Affairs Warn Residents:Be Aware of the Scams! Legislator Ford Honors Outgoing Fire Commissioner Chair James N. Meezy, Jr.
Legis.Ford Helps Secure Funds to Obtain Critical Lifesaving Equipment for the Island Park Fire Dept. Legislator Ford Congratulates District 4’s New Eagle Scout! WE NEED YOUR HELP! TOILETRIES & CLEANING SUPPLIES NEEDED! BICYCLE SAFETY STARTS WITH YOU! NASSAU COUNTY HOMEOWNER SCAM ALERT!